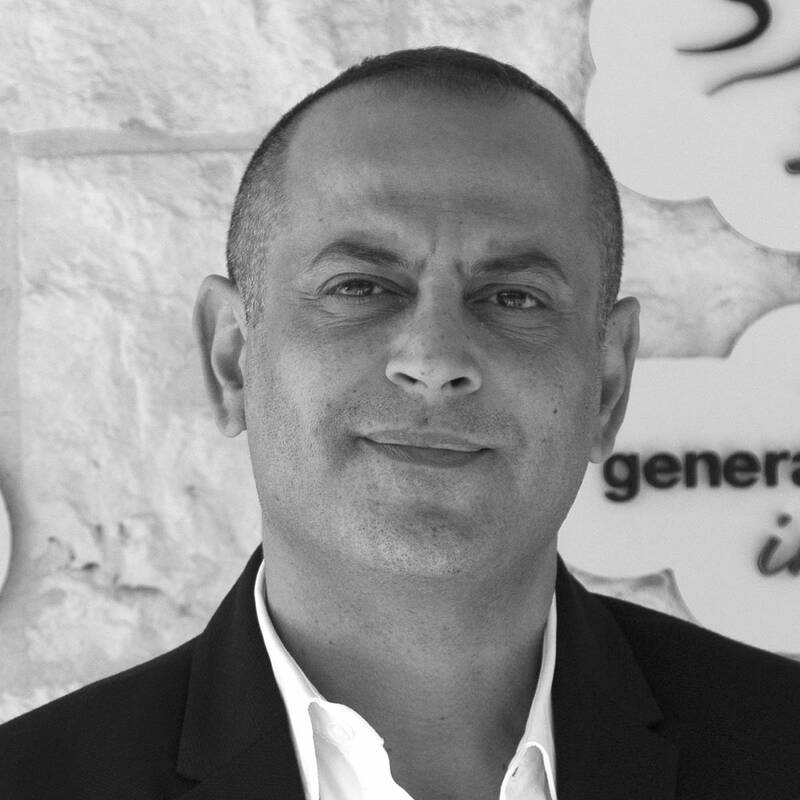 Essam Barakat joined Generations For Peace as Chief Operations Officer in October 2018. In this role, he works closely with the CEO and serves a wide variety of high-level functions, including working alongside the Finance Director and Senior Manager of IT & Administration to lead oversight of the Finance and IT & Administration teams. Additionally, he is responsible for the oversight of all secured grants, liaising across departments to ensure effective execution, quality, and compliance with GFP’s policies and standards and donors’ requirements and expectations. Essam is a native Jordanian and holds a BA in Accounting. Most recently, Essam served as the Director of Shared Services at Palladium Group, where he was responsible for operations, human resources, finance, communications, security, grants, and IT for USAID projects. Prior to that, he spent eight years as the Deputy Regional Director of the Middle East for the International Youth Foundation (IYF), overseeing all finance, accounting, administration, grants, operations, human resources, and IT matters for IYF offices across the Middle East region. Essam has further experience as the Director of Finance and Administration at Royal Health Awareness Society (RHAS); the Financial and Administrative Manager for the USAID “ECODIT” project; the Chief Accountant/Acting Financial Manager at Jordan River Foundation; and a number of consultancy roles. When he’s not in the office, Essam can be found travelling, swimming, and going out with friends to have a fun time and share a good seafood meal.